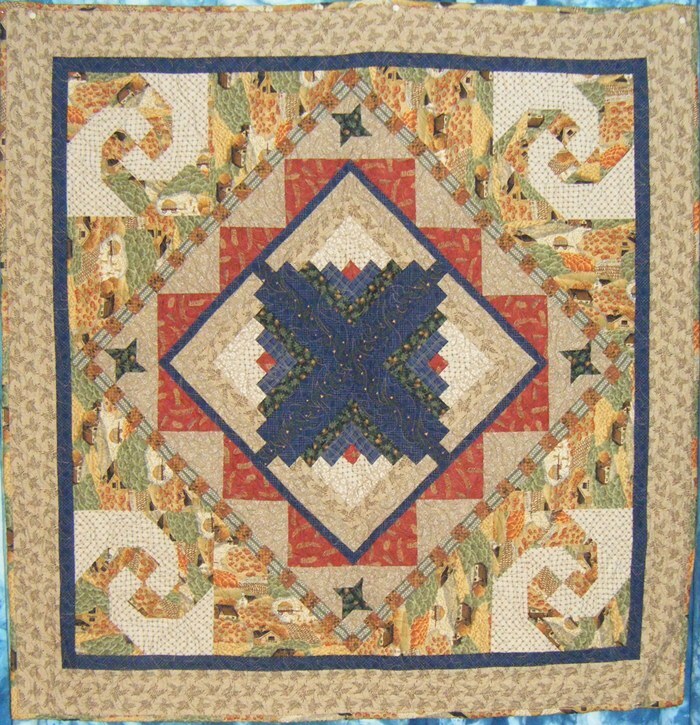 I made this quilt for an online group I’m in using charm squares. However, this fabric line jumped out of the shop (Fat Quarter Shop) and grabbed me so I altered the monthly pattern for March a bit! 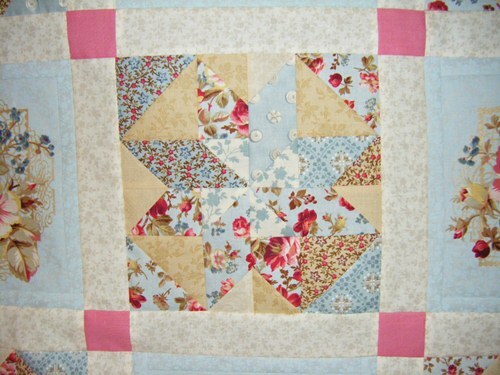 The original pattern called for 9 of the pieced blocks. 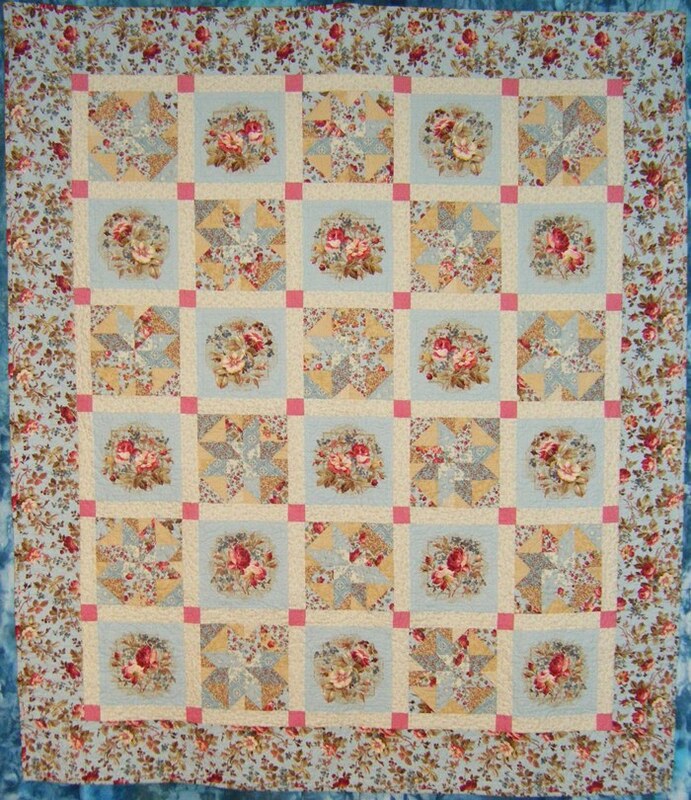 I made 14 pieced blocks plus added in the preprint of roses. I kept the pattern sashing and made the border wider. 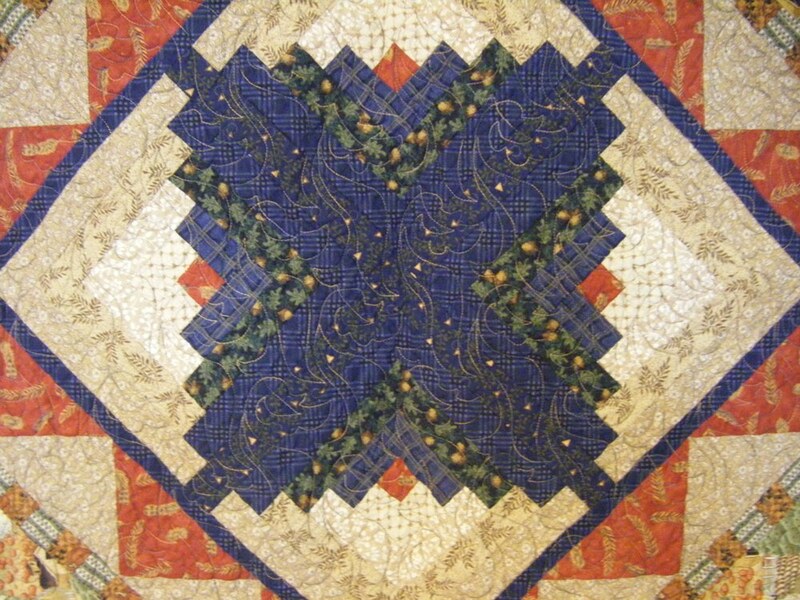 Another quilt I finished with a complex pantograph design is this fall wallhanging. It is about 50″ square and I made this back in 2001 or so. It is funny — I entered an online quilt shop’s drawing and was thrilled to be notified I won a $100 gift certificate! A few hours later I was told they had a glitch in the system and it had told EVERYONE they were winners! They kept a strong face and gave us all the gift certificates! I bought these fabrics from the win. 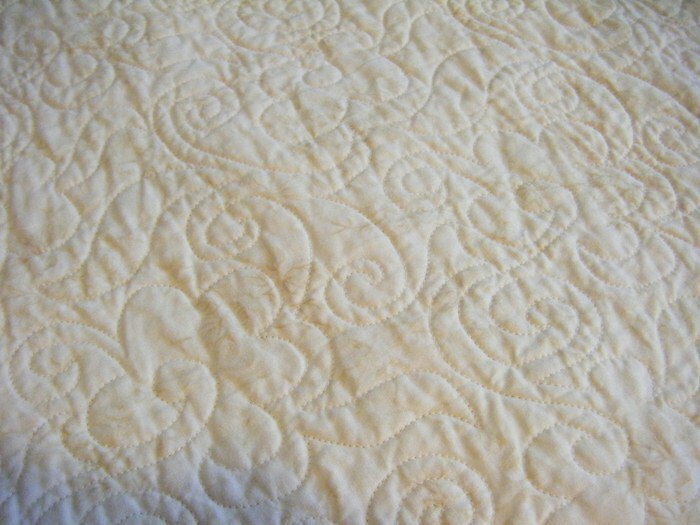 Quilted with a blowing leaf design. The fall season is long here on the farm so making this quilt was good therapy that year! Gorgeous!! I love the blowing leaf in the fall quilt. Beautiful. And the top photo, that is I think my favorite of yours. Love the dainty floral fabrics.